Spare leaflet holders for D3 system. 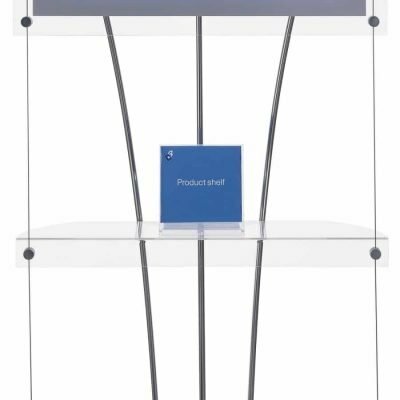 No need to purchase complete new display. Supplied with 4 cable fixings. 2 - 4 off - receive a 5% discount. 5 - 9 off- receive a 10% discount. 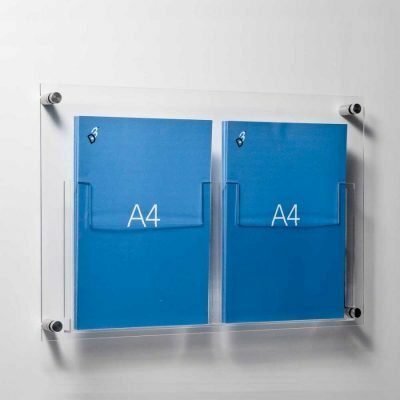 Add additional acrylic brochure pockets to your existing D3 Display system. 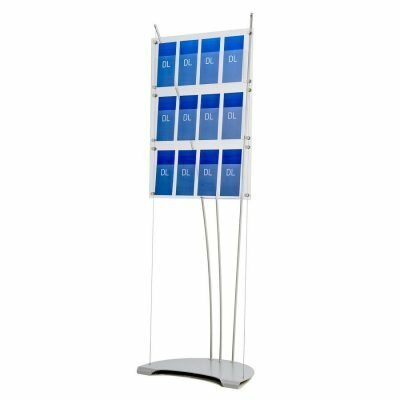 If you already own a D3 display unit? You can repurpose it without the cost of buying another complete standby purchasing new components. 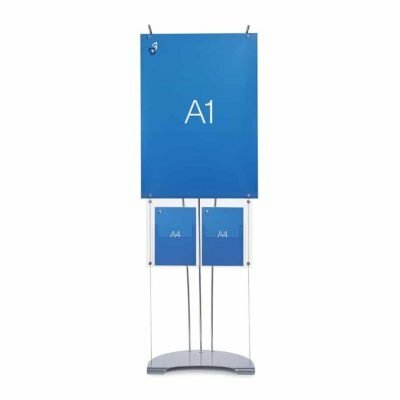 For instance, converting your A3 poster holder display into a brochure display system. All the components that you want to use on the display have to use the same cable setting. It can get a little complicated, so give us a call if you’re not sure what to order. 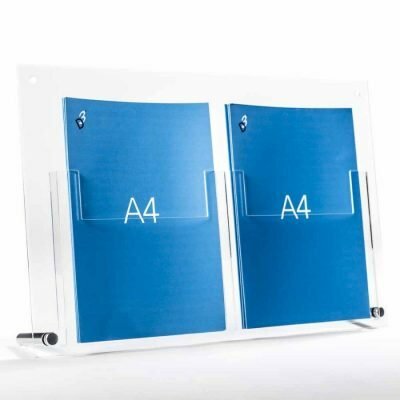 Acrylic Brochure Pockets are 20mm deep. 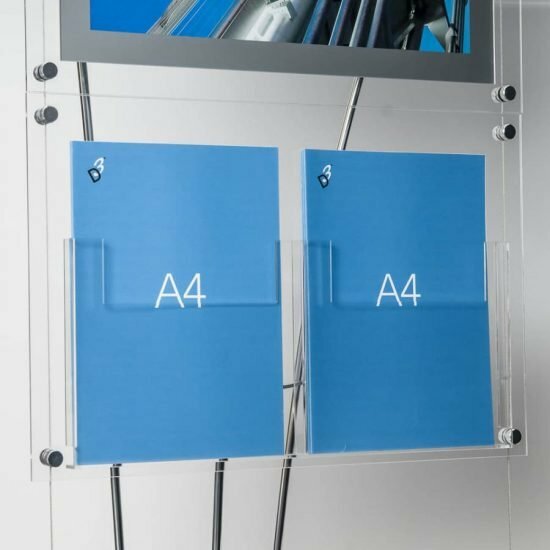 The clear acrylic pockets are clamped to tension cables so the brochure pockets float in mid-air. 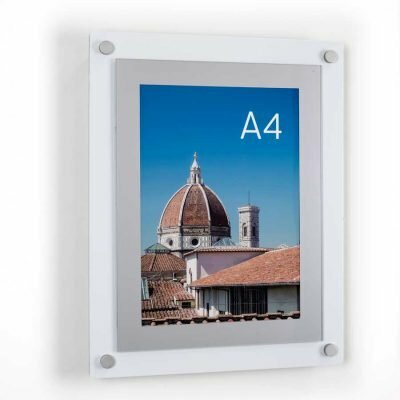 Perspex leaflet holders are supplied with four cable fixings. 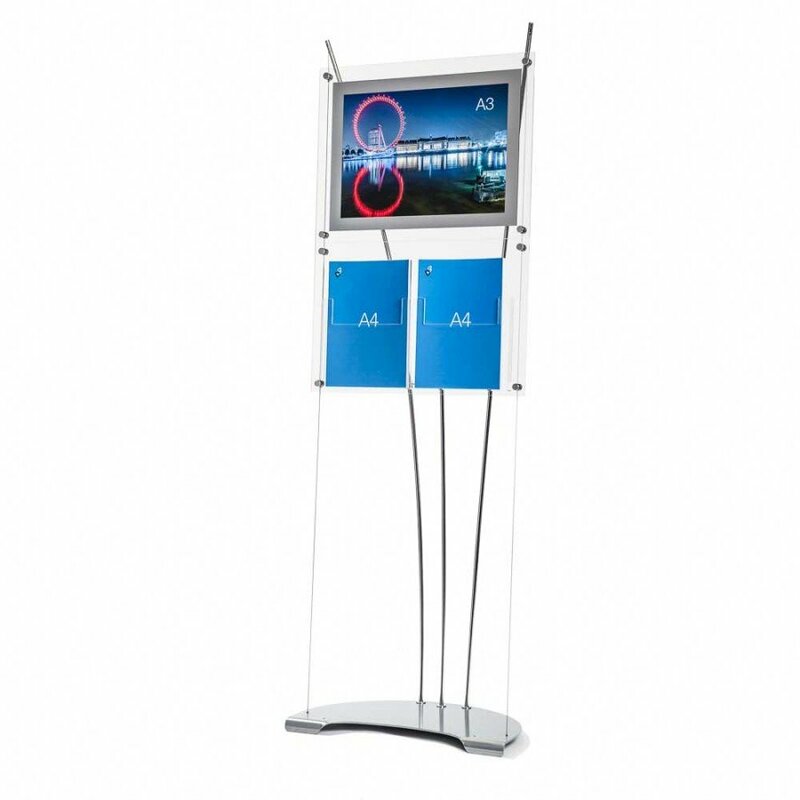 See examples of our brochure display systems here. 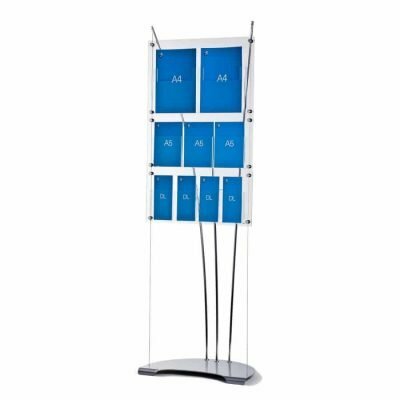 Landscape A3 poster holder display with additional A4 brochure holder pocket.